Retained by and successfully defended against personal injury claim filed by a law enforcement officer who was struck by another driver. Retained by distributor of manual engine lift in product liability suit arising from product misuse. Retained to defend an owner in a catastrophic loss case involving alleged design defect of multilevel collar system. Retained as counsel by defend involved in a double homicide in a liquor liability action in rural Alabama. Retained to defend natural gas pipeline owner in wrongful death case of pipeline construction worker. Retained to defend trucking company in wrongful death action arising from multi-vehicle accident in rural Alabama. Retained to defend a highway contractor in wrongful death action arising from the death of a law enforcement officer. Retained by oil and gas provider to investigate multiple deaths in an industrial setting. Retained to defend State operated facility in wrongful death action involving the drowning death of a minor. Retained as medical counsel in mass tort action involving air filtration system on an aircraft. Retained as counsel by a multi-national corporation to investigate and defend claims associated with occupational injuries. Retained as trial counsel to defend against claims of real estate fraud in Clarke County, Alabama (summary judgment). Retained as trial counsel in product liability action involving hand held cigarette lighter. Retained in multi district litigation/product liability action arising from the installation of "Chinese Drywall" in residential homes. Retained by defendant in multi district litigation/products liability suit arising from the use a of the manufacturer's clothing near secondary heat sources. Retained to defend a drug screening laboratory in a defamation action filed by third party test subject. Retained to defend in a vehicle rollover case involving tires manufactured outside of the United States. Retained to defend insurance company in an a law suit that included claims of defalcation and loss of coverage. Retained as counsel for financial institution to defend against breach of contract and fraud claims. Retained to defend house hold product manufacturer in triple death case. Retained by industrial printing company to defend a wrongful death action involving the death of a subcontractor's employee. Retained as trial counsel in wrongful death case involving a homicide inside a State operated facility. Retained to defend boiler manufacturer and maintenance company in wrongful death case of boiler operator. Retained to defend in a product liability action involving a seatbelt manufacturer where a minor suffered permanent paralysis. Retained to defend product liability a manufacturer in law suit arising from the use of a portable breathable air system in an industrial setting. Retained to defend title insurance company against allegations of fraud arising from a commercial real estate transaction. Retained as local counsel in a product liability lawsuit involving chemical burns associated with product misuse. Retained and successfully represent defendants in double homicide related to liquor liability claims. Retained as trial counsel to defend wrongful death action involving a third party criminal act in Escambia County, Florida. Retained by product manufacturer to defend product liability action arising from explosion of mobile gas unit. Ricardo practices in Burr and Forman's Torts and Insurance Practice Group (TIPS) with an emphasis on government liability, product and toxic tort liability and insurance litigation. Ricardo serves as the Chief Legal Counsel and City Attorney for the City of Mobile. He was appointed to this post by the Honorable William S. Stimpson in 2013. In his capacity as City Attorney Ricardo manages all of the City’s outside counsel, serves as chief legal adviser to the executive branch of the local government, and serves as the executive director of the City of Mobile’s internal legal department. Ricardo’s insurance litigation experience includes issues related to defalcation, bad agents, fraud and coverage agents. His product liability experience includes industrial grade machinery, warranty claims, automobile components, toxic torts and chemical agents. Ricardo was appointed by Chief Judge Callie V.S. Granade of the United States District Court to a Merit Selection Committee to recommend candidates for a federal magistrate position for the Southern District of Alabama. 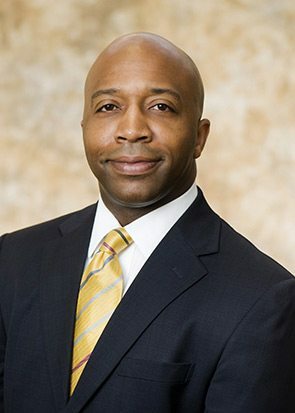 In addition to his service to the bar and his government service, Ricardo has served as a leader in the non-profit community over the years as the President of 100 Black Men of Greater Mobile, Inc., Chairman of Mobile United, President of the Vernon Z. Crawford (an NBA affiliate), Chairman of AL.com’s first Gulf Coast Young Professional’s Summit, and the Vice-chair of Prichard Preparatory School. As an active member of DRI, Ricardo is a member of the Diversity Committee (Large Law Firm Chair), the Government Liability Committee, the Insurance Law and Toxic Tort and Environmental Law Committee. Ricardo is a native of Natchez, Mississippi. He attended both law school and college as a recipient of leadership scholarships. While in law school, he was a member of the school’s nationally ranked Trial Team, and he served as the Chief Judge of the Trial Board.